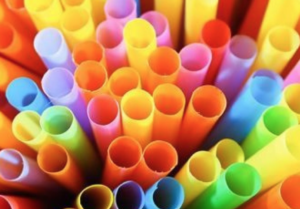 Beginning April 30 no retail food establishment or nonprofit food provider located in the City of Calabasas will provide, distribute, or sell plastic straws, stirrers, and cutlery to consumers. This includes City of Calabasas rental facilities. Nothing in the measure prevents beverage providers, restaurants (including fast food restaurants), and vendors from using or choosing non-plastic alternatives, such as those made from bamboo, sugar cane, or paper, available to consumers. Non-plastic alternative straws shall only be provided upon request by the consumer. There are ADA exceptions for those with special needs, and allows businesses to provide plastic straws for medical reasons to people with disabilities or other health-related conditions. The ban does not apply to grocery stores.